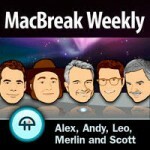 This week RingtoneFeeder’s new iPhone Alarm Pack was Scott Bourne’s Pick of the Week on MacBreak Weekly and we are really flattered by the kinds comments about our concept and of course about Geoff as an artist. The episode also talks about Apple secrecy, iPhone 3GS and OS 3.0 update, Steve Jobs’ surgery, BlackBerry switchers, and more. Now you can buy the pack of 25 great iPhone Alarm tones which are all written and produced by Geoff Smith designed to sound great on your phone. The tones are ideal for meeting alerts, waking up or any kind of reminders that use a tone to get your attention. This entry was posted on Friday, June 26th, 2009 at 1:56	by Administrator and is filed under News. You can follow any responses to this entry through the RSS 2.0 feed. This is what got me to subscribe to RingtoneFeeder. Me too Jonathan, but I’m having a hard time figuring out how to use them… some I wish were much shorter and that I could customize system sounds – can you help me hack my phone??? I do not jailbreak, I don’t know how to customize the system sounds.